Breaking news: healthy eating has never been easier. 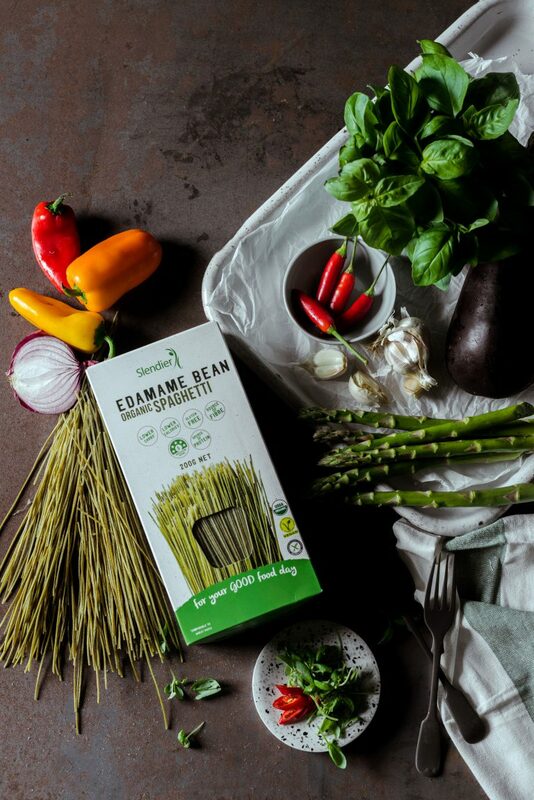 Two of Slendier’s favourite pasta alternatives, the Organic Soy Bean and Edamame Bean Spaghettis, have landed on the shelves of a major supermarket chain. We are excited to announce that Coles is now selling Slendier foods amid a growing appetite around Australia – and the world – for our gluten-free, low-carb foods. Not only is it a ringing endorsement of our products, it means Slendier devotees have an even quicker way to give their diet an overhaul. Team Slendier has been working with the company’s chefs and nutritionists to create these pasta alternatives, and there’s an abundance of delicious recipes for customers to try. Initially stocked primarily through the Slendier website, consumer demand has led to Coles stocking two of the most popular products in the range, allowing customers to purchase single units without paying for postage. The bean pasta range offers much more variety for those wanting to eat fewer carbs and they’re now even easier to get your hands on at Coles. The Slendier Organic Soy Bean and Edamame Bean Spaghetti retails for $5.20 at Coles supermarkets nationwide.